You are here: Home » Why do you fire the manager? Why do you fire the manager? Sacking a manager is, on average, more harmful to a team’s performance in the short term than doing nothing. This season 31 managers have been sacked, or agreed ‘by mutual consent’ – that bizarre footballing spontaneous combustion – to disappear in a puff of smoke with a huge payoff. 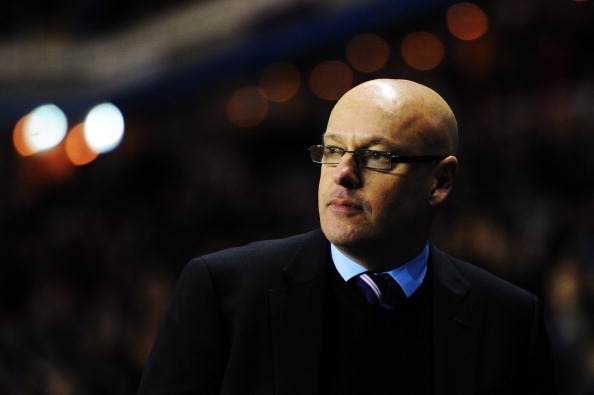 The latest, Reading’s Brian McDermott, left to the sound of bewildered gasps and sorry sighs. He will be back. Football is increasingly good at recycling its managers. According to Sue Bridgewater, who runs the football management course at Warwick University, the average tenure of those dismissed fell from 3.12 years in 1992-93 to 1.36 in 2009-10. Sacking has become as frequent as the weekly shop. But a fundamental question is rarely asked: does getting rid of a manager actually improve performance? Punters certainly believe so. Sporting Bet’s Mark O’Haire confirms they usually see an increase in betting on sides with new managers. The idea certainly sounds logical; enticing even. A new man comes in, provides a Wada-compliant injection of fizz and fight, results improve. The theory even has a name: new manager syndrome. There is one problem. The evidence doesn’t back it up. John Goddard, a professor of financial economics at the University of Bangor, and his co-author Stephen Dobson, of the University of Hull, tested the theory by using statistical models and regression analysis on a database with 40 years of Premier League and Football Leagueinformation. Their conclusion was startling. When the data was churned and crunched and spat out, they found that while appointing a new manager did, on average, lead to an improvement in his first 13 games, it was marginally less than the control group. Sticking with your manager was worth an extra league point over the same period. Studies on the Eredivisie by Bas ter Weel of Maastricht University, and on La Liga by David Forrest of Salford University, have found similar results. The reason? Football is more random than we think. Dismissals usually follow a poor run of results but those defeats are often down to random bad luck, injuries, a tough run of fixtures and such like, all of which eventually revert to the mean. When they do, those frustrating defeats and draws suddenly become wins. Of course, change is sometimes necessary. No one disputes that. And an average is just that – some new managers will perform better than it, others worse. But the research is clear: sacking shouldn’t be based solely on recent results. Some knowledge of recent history helps too. Nine managers have been sacked by clubs in the relegation places in March or later since the Premier League began – and all nine went down. As Forrest suggests, if you are going to wield the axe, do it when a new manager still has a chance, and the funds, to turn things around, as with QPR. Or, alternatively, do it when all hopes for the season are extinguished and the new man can rebuild for the following campaign. Another key point, as Rob Mastrodomenico of Global Sports Statistics points out, is that a manager’s success is largely dependent on his players: “Teams are essentially a function of what players they have – and while a manager can improve tactics and morale, if you sack someone there are usually some underlying problems.” Problems that are unlikely to be resolved with the same staff. Does anyone believe that Pep Guardiola, for all his genius, could lead Reading into the Champions League?